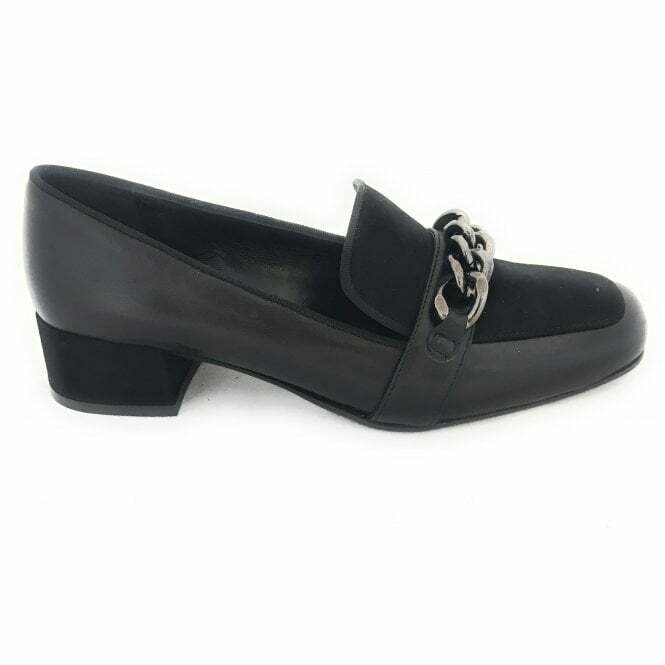 Perfect for this season is this HB black leather court shoe with moccasin front. 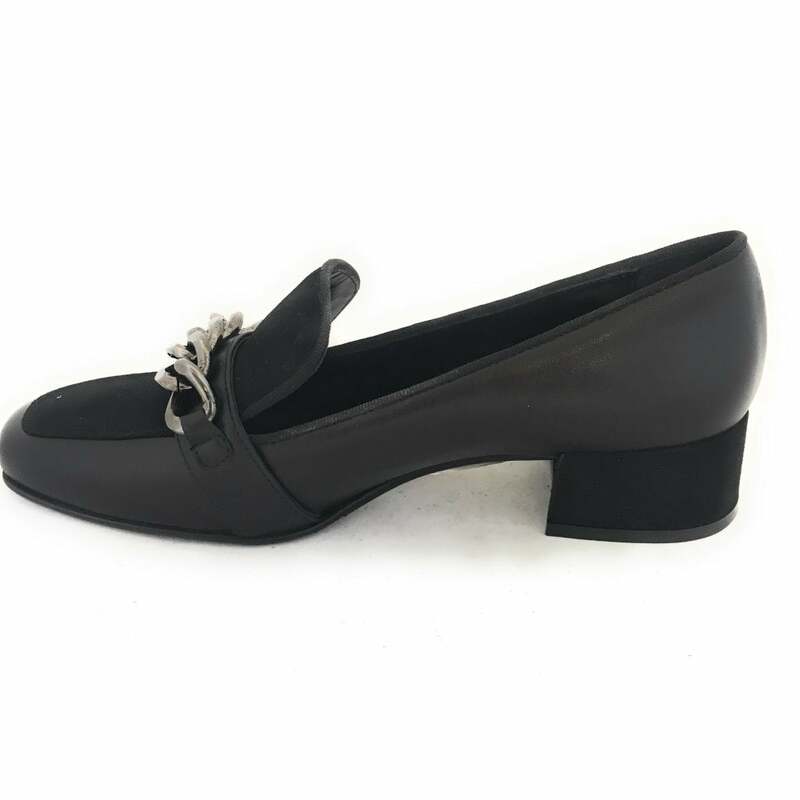 A decorative pewter chain gives this ladies shoe some extra style. 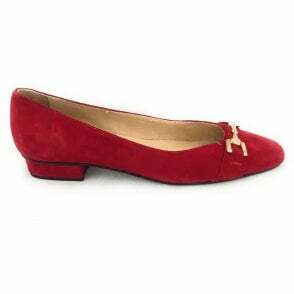 Finished with a suede covered block heel and cushioned leather insoles for added comfort.